Occasionally it works out where we can deliver some of our work to customers who live in other areas of the state. It’s usually when I have more than one delivery in the same general area. It cost the customer a good bit less than if I had to crate & ship it plus it allows me to meet our customers & see my work in its new home. Such was the case when Nikki & I recently made a one day trip to Sarasota & Englewood on Florida”s Gulf coast. 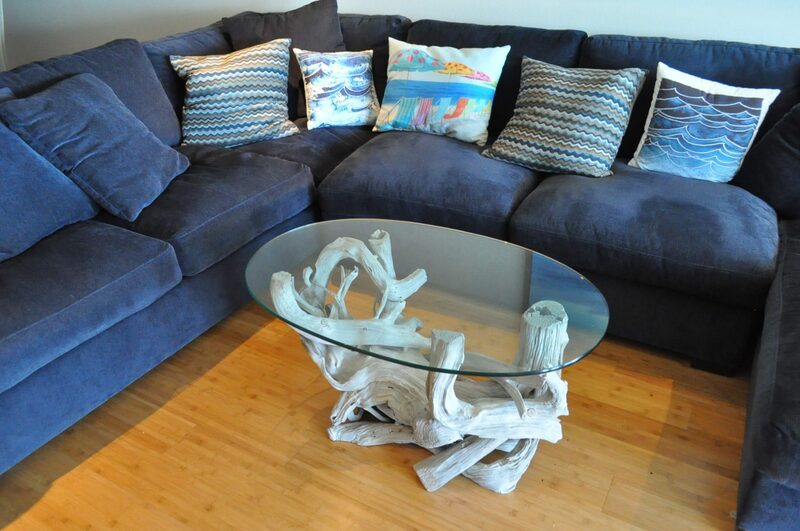 Sue had found me online & selected a small driftwood & glass table that was perfect for the space she had to work with. 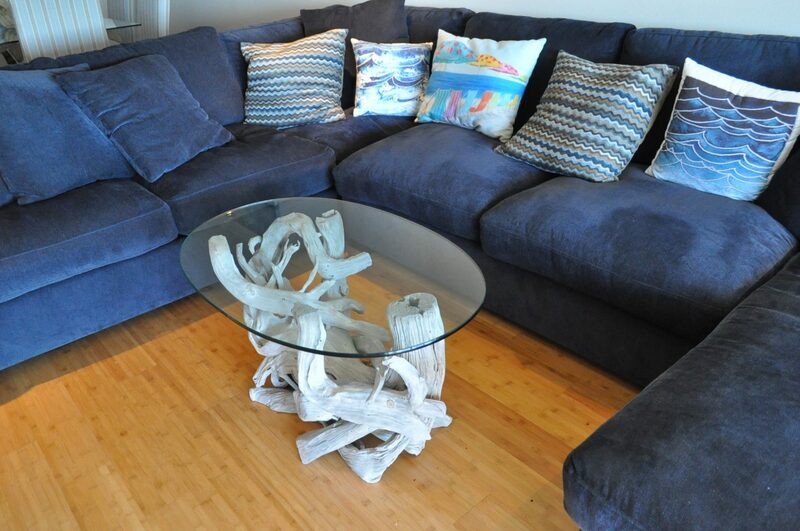 The bleached weathered finish of the table was a great compliment to her blue sofa & bamboo wood floors. 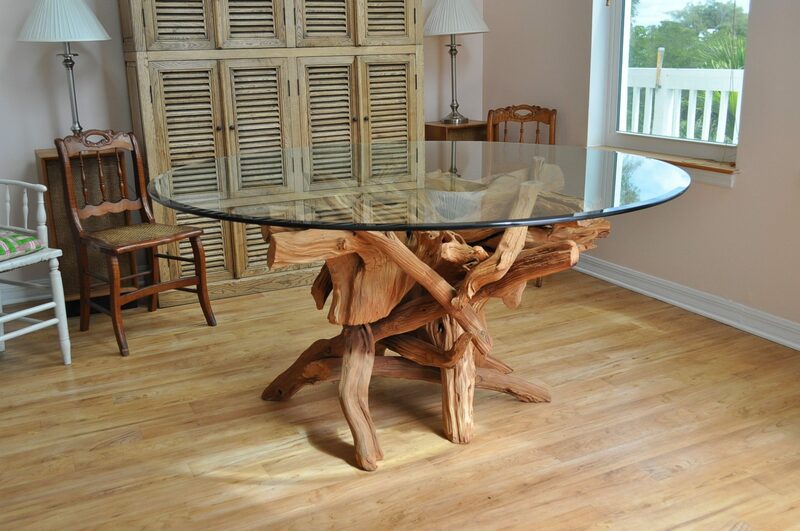 Our next delivery was in Englewood, a small town whose art festival we will be participating in at the end of March. 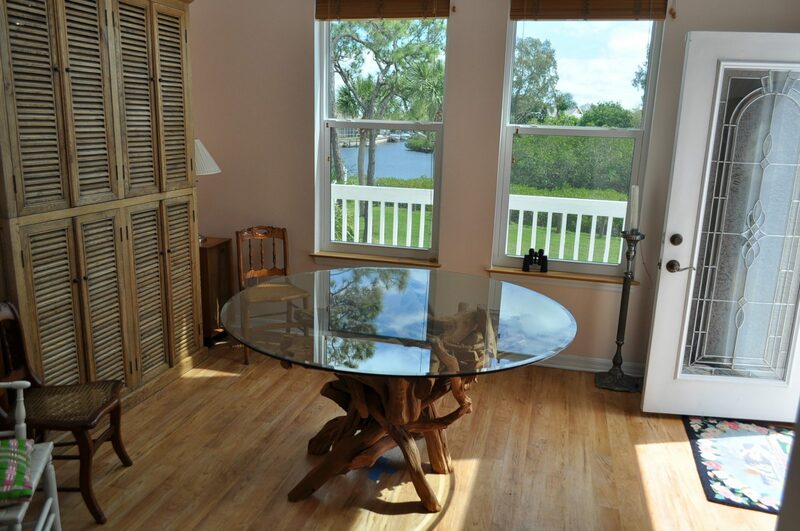 Our customer, Chip & his wife Liz, are recent New York transplants who were looking for furniture that would compliment their new home overlooking the waterway. 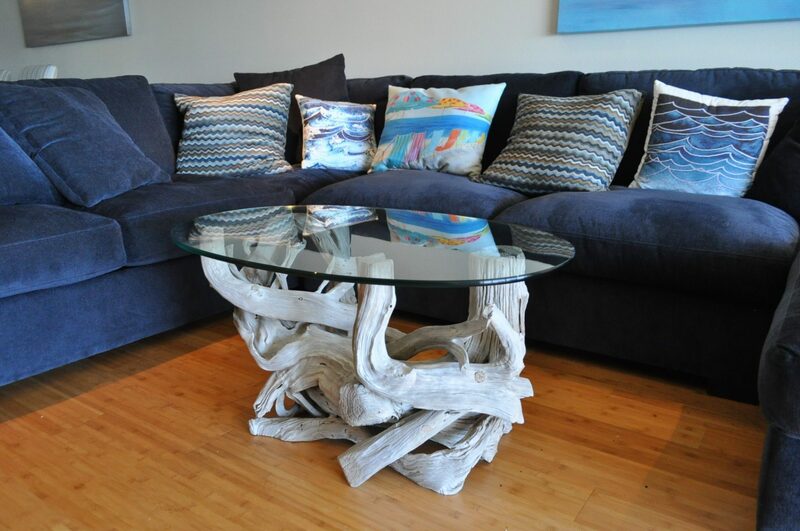 Not finding what they wanted in the local furniture stores they started searching the internet & found Driftwood Decor. 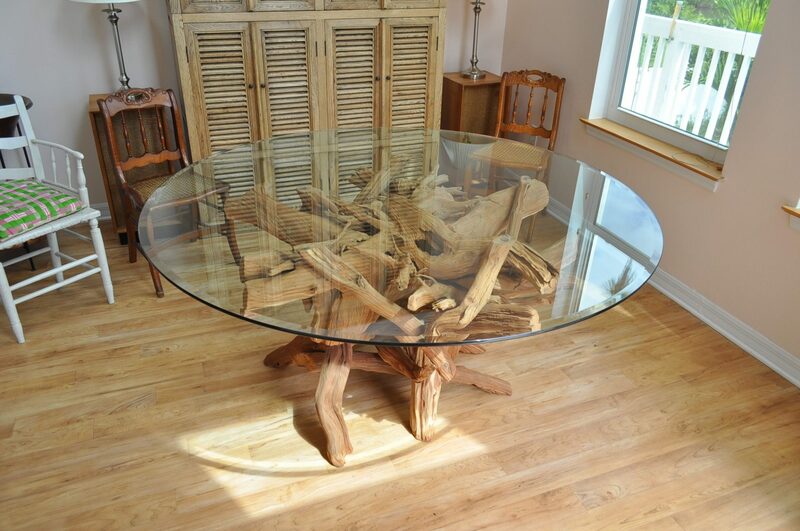 We were able to create for them a large dining table with the sandblasted finish that would accommodate a 60″ round glass. On the beach side is Manasota Key, a long time vacation favorite of ours, so on our way back home we stopped for a grouper finger lunch at one of our standbys. 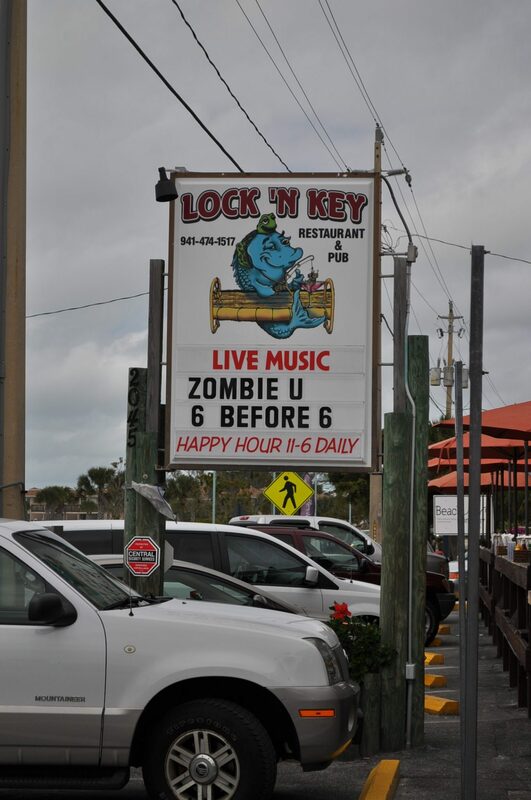 I’m envious…love the Lock and Key….find any sharks teeth or whale bone??? I thought you might enjoy this one. We didn’t take time to go down to the surf, but we thought about it.